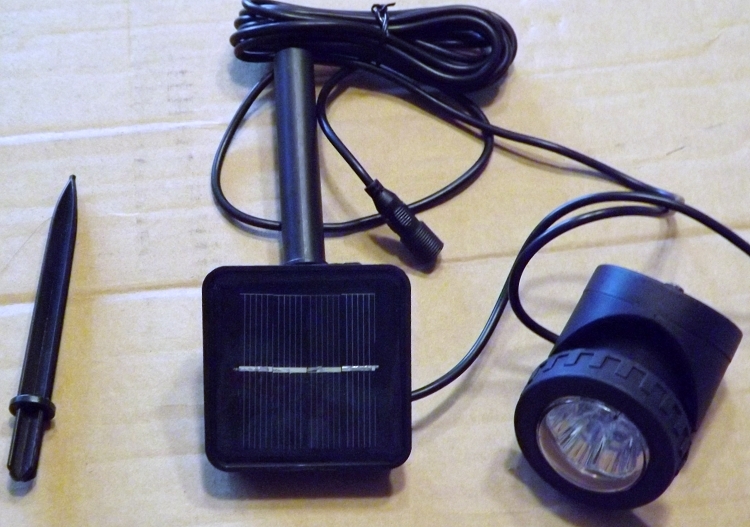 LED solar spotlight to show off your harp at night. Mounting instructions included. 9 ft cord so solar unit can be placed in ground, or attached to harp post, or where sun is best.